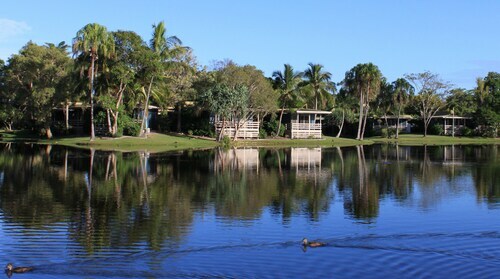 Situated on a lake, this resort is within a 15-minute walk of Hervey Bay Botanic Garden and Urangan Pier. Reefworld Aquarium and Great Sandy Strait are also within 1 mi (2 km). 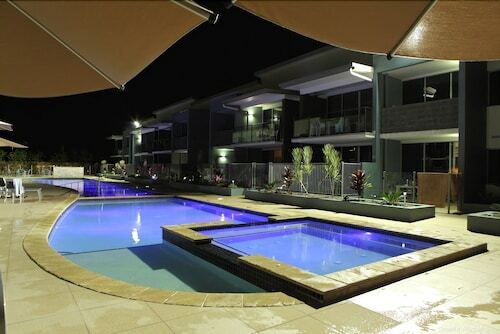 Situated on a lake, this condo resort is within a 15-minute walk of Urangan Pier and Hervey Bay Botanic Garden. Reefworld Aquarium and Great Sandy Strait are also within 1 mi (2 km). 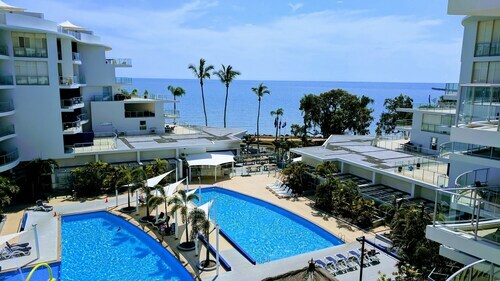 Nestled on the beach, this Urangan motel is within 3 mi (5 km) of Reefworld Aquarium and Hervey Bay Historical Village Museum. 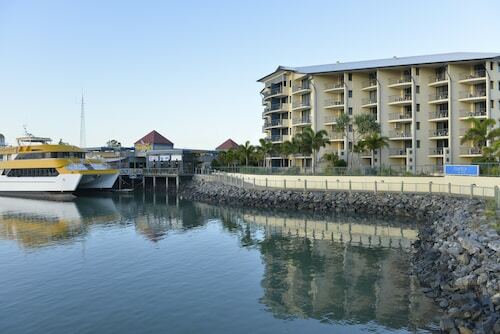 WetSide Water Education Park and Hervey Bay Golf and Country Club are also within 6 mi (10 km). 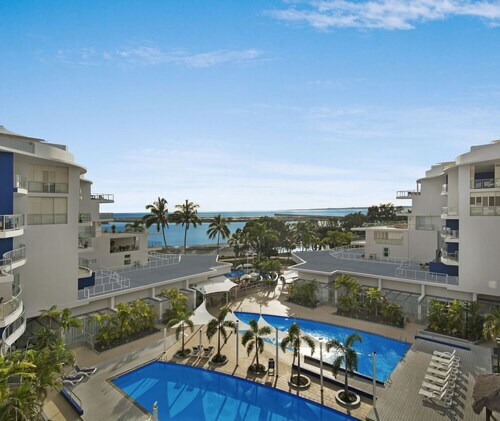 With direct access to the beach, this Urangan apartment building is within 1 mi (2 km) of Urangan Pier, Hervey Bay Botanic Garden, and Great Sandy Strait. Great Sandy Straits Marina and Reefworld Aquarium are also within 2 mi (3 km). Situated near the bay, this luxury resort is within a 10-minute walk of Great Sandy Straits Marina and Great Sandy Strait. Reefworld Aquarium and Hervey Bay Botanic Garden are also within 1 mi (2 km). 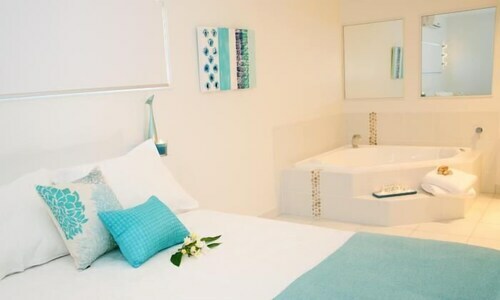 Situated near the beach, this luxury bed & breakfast is within a 10-minute walk of Urangan Pier and Hervey Bay Botanic Garden. Reefworld Aquarium and Great Sandy Strait are also within 15 minutes. Organising an adventure is the best way to fix a case of wanderlust. 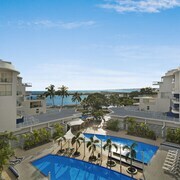 How about booking a trip to Fraser Coast? There are some funky places to crash very close to the action in Urangan. Around 44 are within a radius of 5-kilometre of Urangan. Consider a few nights at the Akama Resort and the Best Western Plus Quarterdecks Retreat, both of which are near the centre. You might want to also investigate The Grange Resort the Whalecove Resort. From water-dwelling plants to tiny darting fish, Reef World has a display to entertain the whole family. Oceans Resort, an Ascend Hotel Collection Member and BreakFree Great Sandy Straits are suitable options if you would like to be near this attraction. If you are amazed by the diversity of sealife, visit Reefworld Aquarium. This place will capture your attention for hours. You can stop by this place whenever you like, especially if you're staying at Mantra Hervey Bay and Boat Harbour Resort. 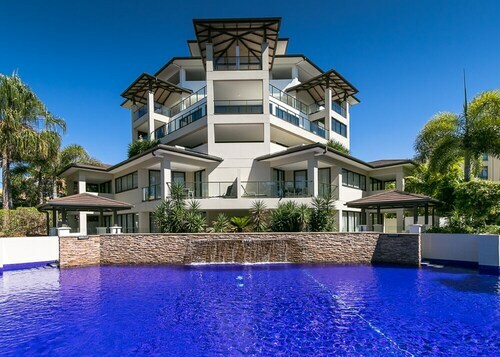 If you find yourself searching for more options in Urangan, look into the Mercure Kingfisher Bay Resort Fraser Island and the Kingfisher Bay Resort. They are 17 kilometres and 17 kilometres away from the city's main streets. Wotif also suggests the Eurong Beach Resort and the Villa Cavour Bed & Breakfast. The first is 35 kilometres away from town, while the second is 8 kilometres away. The close by localities of Maryborough and Tinana are worth checking out. Maryborough is 35 kilometres to the southwest of Urangan, while Tinana is 35 kilometres to the southwest. Maryborough accommodations include the McNevin's Maryborough Motel and Blue Shades Motel. The Maryborough Motel and Conference Centre and Mineral Sands Motel are some of the options in Tinana. 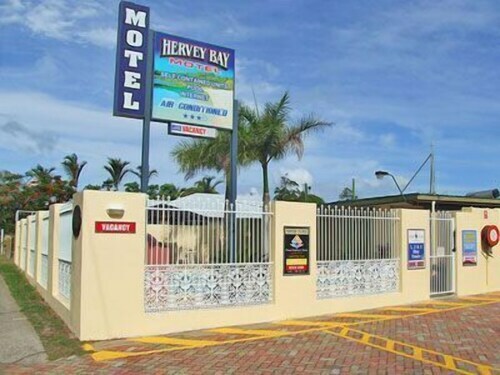 Visitors transiting via Hervey Bay Airport can book a bed at the Best Western Ambassador Motor Lodge or the White Crest Luxury Apartments, which are both a short distance away. How Much is a Hotel Room in Urangan? 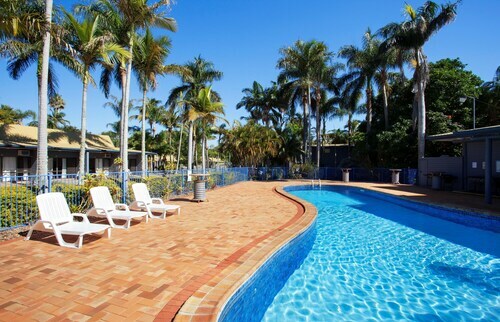 Hotels in Urangan start at AU$79 per night. Prices and availability subject to change. Additional terms may apply. 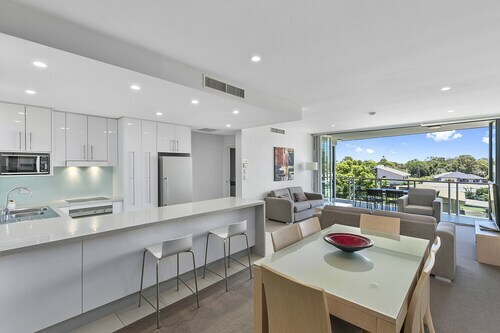 Beautiful surroundings and ideal location in Hervey Bay close to everything ... staff very accommodating and very friendly. Cabin was a little dated however very clean and comfortable. Will be back!